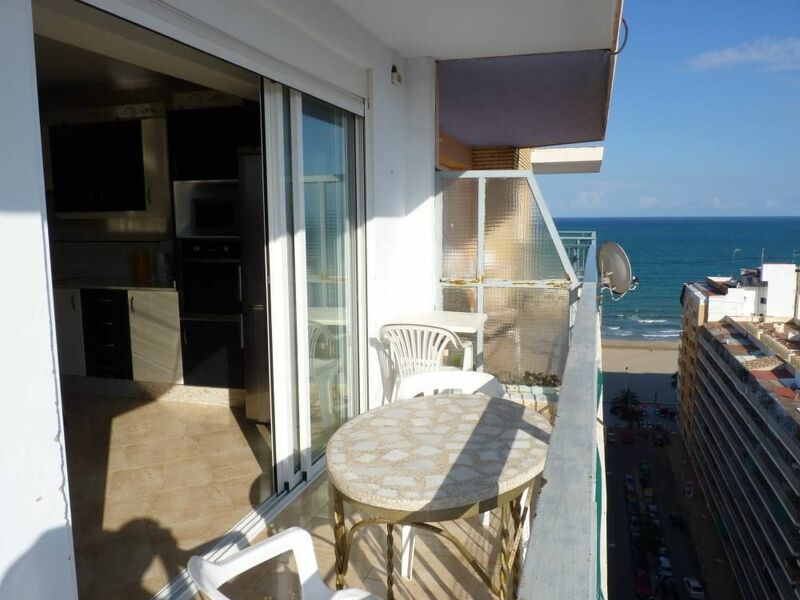 "A very nice apartment in Cullera indeed. The owners are truly delightful people and the apartment was great. It was very close to the beach (as it was seen in the pics) and having a parking space to leave your car was really useful. The zone around the building is with parking payment only so this was perfect. The owners also have a restaurant down the street and a dinner there was also a beautiful experience. I loved the apartment, my family loved it and my dog was also very comfortable with the space. It''s a really big and spacious apartment, great views and great location. The apartment being pet friendly is also a big plus in my book. So I would definitely recommend the apartment and its owners." Appartement très lumineux et très bien situé à proximité immédiate de la plage et de tous les commerces. Alain est un propriétaire très accueillant, soucieux du bien être de ses hôtes. Literie confortable et vues magnifiques de la terrasse. Bonito apartamento y bonito lugar. El dueño es encantador. Gracias por todo Alain. Un appartement bien agencé et très bien placé. Wir waren im Oktober in Cullera und schon die freundliche Begrüßung war schön, ebenso die große, helle Wohnung, in der wir uns sofort wohlfühlten. In Natur ist die Wohnung noch viel besser, als auf den Bildern! TV und deutsche Kanäle sind vorhanden und Einkaufen kann man in der Nähe auch. Die Möglichkeit, für kleines Geld die Parkfläche im Haus zu nutzen und der Ausblick von der 15 Etage sind super, ebenso der sehr freundliche Vermieter, Alain Ravenel! We stay in Cullera in Oktober. A friendly welcome and the bright Apartment instantly makes a good feeling. The rooms are better than on the pictures, there are german tv channels and a good tv and you can go shopping nearly everything in 5 minutes. For a few € you can use the parkingplace inside - the view from etage 15 is included...and great! Mister Ravenel is very friendly and we would go there always again! Piso al lado de la playa y con todo lo necesario cerca (suprmercados, restaurantes, chiringuitos, etc). Muy recomendable si lo que necesitas es unos días de playa. Muy buen trato, atendieron todas nuestras preguntas y flexibilidad horaria tanto para entrar como para salir. Muy recomendable.